If you are a competent sight reader and would like to find out more about us, you are invited to come and sing with us through a couple of pieces specially written for the choir, as well as music by Hubert Parry and Tomas Luis de Victoria. If interested, please email conductor@strathclydechoir.org for details. 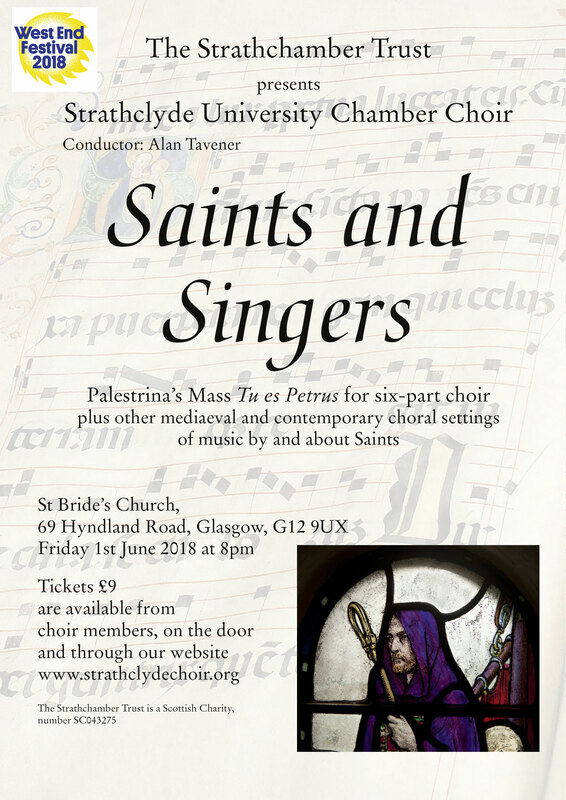 Our next concert will be “Saints and Singers” on the 1st June 2018 as part of the West End Festival. 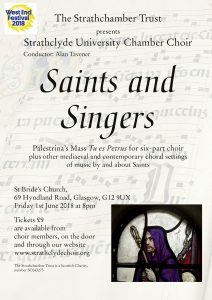 Featuring Palestrina’s six-part mass and motet ‘Tu es Petrus’, interwoven with ancient and contemporary pieces celebrating saints Columba, Aloysius and Hildegard von Bingen, this should prove to be a feast for the ears. The concert starts at 8pm and will be at St Bride’s Church, 69 Hyndland Road, Glasgow G12 9UX. Tickets are £9 at the door, or online at Eventbrite. Strathclyde University Chamber Choir in front of the High Altar in Durham Cathedral. Director, Alan Tavener (front row, far left) and Organist, David Hamilton (back row, far right). Copyright 2018 Daniel K. L. Oi Photography. 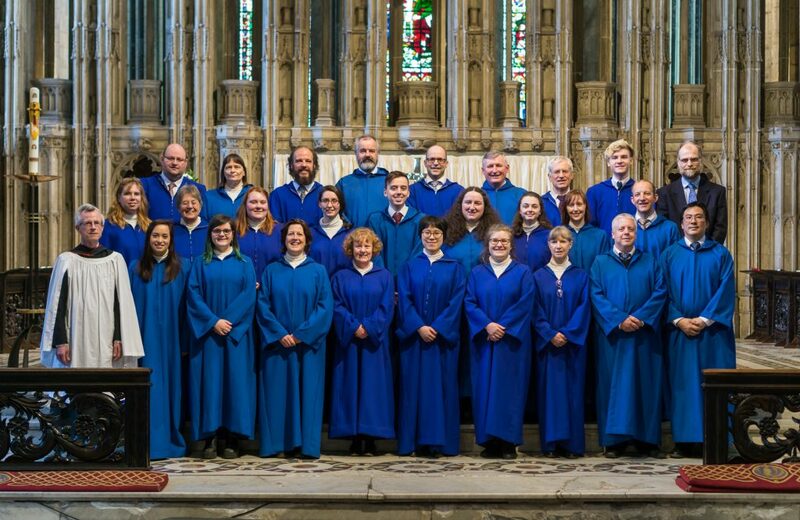 The choir has returned from a successful residency at Durham Cathedral from the 13th to 15th April 2018, filling in for the regular cathedral choir. We sang 3 Evensongs, Matins, and a Eucharist, making for an intense 3 days of concentrated music making in support of worship in a magnificent setting.